Each morning I used to wake up in a fog, stumbling around my room like a zombie, wishing to return to the security and warmth of my bed. But let’s face it, the busy day must begin. Those who know me will tell you I am not a morning person and I am a serious coffee drinker. I used to look forward to the aroma of a hot cup of Java wafting through the air in the mornings. It’s somewhat poetic but if I am, to be honest, it was once more of a necessity to get moving. It wasn’t until about a year ago that I curiously questioned my reliance on caffeine to kick-start my morning and soon discovered why I should hold off on drinking that first cup of coffee. Think back to a time when you might not have needed coffee to get ready for the day. Hard to remember? I know it is for me but after looking into why I should hold off on that first cup until later I decided to make a switch and here are the reasons behind that. Your body has a hormone for everything. These hormones control our body’s 24-hour internal clock that lets us know when to sleep and when to wake up. In the mornings, right when you wake up, your body must transition from a state of rest to a more functioning state allowing us to begin our days. The hormone commonly associated with stress, cortisol, is released preparing your body to wake up and is continues being released after getting out of bed. Cortisol wakes you up. 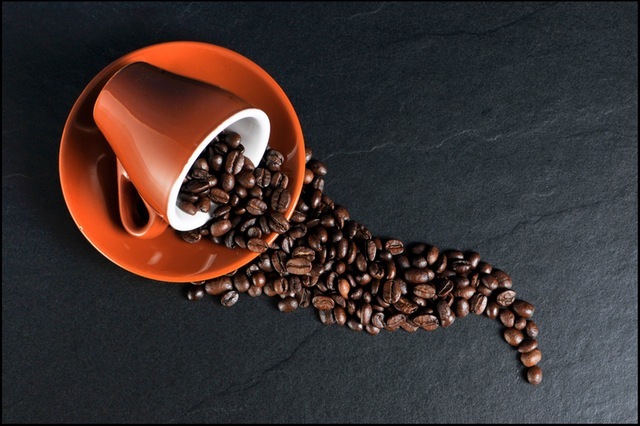 In a study published in the Journal of Psychosomatic Medicine, researchers aimed to find a link between caffeine and it affects on cortisol levels in the body. What was discovered was that, while researchers had already known caffeine helps spike cortisol levels, just as your body becomes tolerant to caffeine, your body also becomes tolerant to cortisol induced by caffeine, making cortisol less effective and leaving you groggy in the mornings. Basically, if you replace your body’s natural ability to wake up in the morning with caffeine, once you have a high tolerance for caffeine, your body’s natural ability to utilize the “wake-up” hormone is hindered. Coffee has its merits. Should you stop drinking coffee? Definitely not. According to the Academy of Nutrition and Dietetics, plain black coffee serves as a great source of antioxidants. What you should do is postpone that first cup until the late morning or early afternoon for that surge of energy. You might think I am crazy to suggest waiting to drink your first cup but from personal experience, mornings are much easier if you allow your body to do what it needs to do. Pick a week and try it out. Let your body get back to normal while still being able to enjoy your favorite pick-me-up drink. Just enjoy it a little later in the day! Lovallo WR, et al. Caffeine Stimulation of Cortisol Secretion Across the Waking Hours in Relation to Caffeine Intake Levels. 2008. This entry was posted in Food, Food Facts, Health Tips, Healthy Eating and tagged Caffeine, Coffee, Early, Evening, Health, Morning, Work. Bookmark the permalink.